If you picked up a copy of the Brixton Bugle this weekend, you will have already met Manda, B£ user who told us why she did her #BriXmas shopping in B£, and plans to #shoplocal again this year. If you’re a bit stuck for ideas, keep an eye on our blog this month – we’ll be posting some gift guides to help you out! 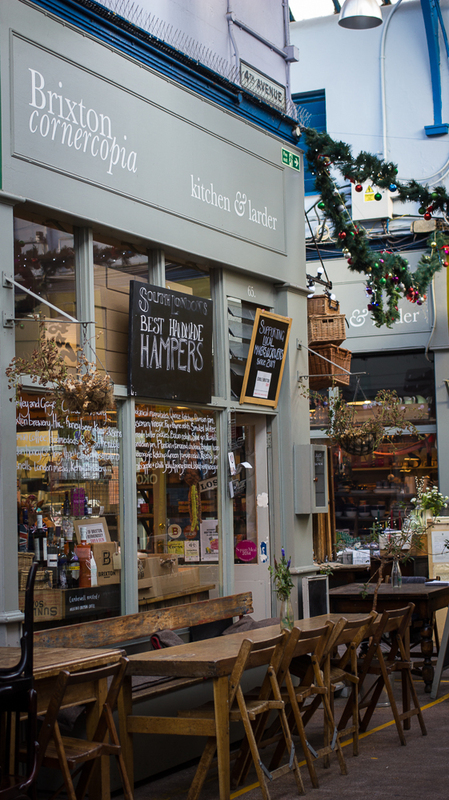 Over the last year and a half we’ve been introducing you to our traders – independent business owners who are part of the Brixton Pound family. 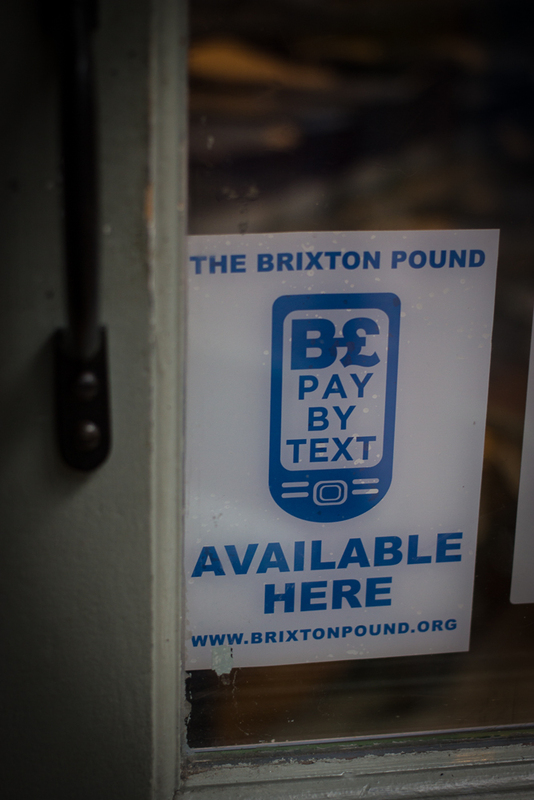 In this new series we’d like to introduce you to the members of the community who are just as significant: the Brixton Pound users! In the previous months Paul wrote us a guest post, we had a chance to meet Alicia, and today we bring you a special BriXmas themed guest blog from Manda! I can’t remember why I started using the B£. I think it was because there was a lot of stuff on Twitter about ‘shopping local’ – and that gave me an idea for a ‘theme’ for my Christmas present-buying. These days, Christmas seems more and more absurd in our family – call me churlish, but every year we spend money we haven’t really got on things that people don’t really want and it seems like a terrible waste of love, money and time. Not to mention the carbon footprint, and lining the pockets of corporate greed. 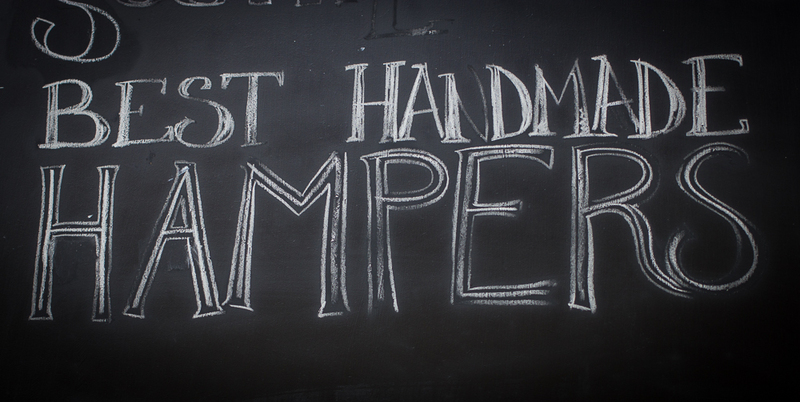 So what better than to give presents bought locally and, in doing so, support local independent retailers! Then at least somebody benefits! To my delight, I also discovered that B£ notes are really cool. Especially the B£10 David Bowie ones. To get my Brixton £££s I had to go to Morley’s menswear department (yes, this is where Google directed me) where I changed about £100 at the till. Armed with my colourful notes I set off for Brixton Village. My house got decorated with pom-poms from Circus, my nieces were given enamelled beakers from Cornercopia, my nephew got a moleskin notebook from Malika and my sister some 70’s vinyl from United 80. (My Dad was a bit more tricky so I got him a book from W H Smith – well, it is in Brixton…) I also used the text method to pay for gifts from my B£ account – many Brixton shops now allow this. I did it at 20 Storey in Brixton Village where I got some funky gifts for friends. I also got lucky with a B£ Twitter campaign: every day in December a B£ note was hidden in a different shop in Brixton Village. I happened to find a tenner in Rose & Thorn while I was trying on a dress – hey, this B£ thing is fun! Since then I have set up a direct debit so every month £5 is credited to my B£ account. Watch out family, Brixton presents will be coming your way again this Christmas! This entry was posted in news and tagged 12 days of BriXmas, briXmas, BriXmas gift guide, christmas, christmas ideas, christmas presents, christmas shopping, meet the user on December 8, 2014 by brixtonpound. The fortunate Brixtonites who can get the snazzy paper B£s every day from our Issuing Points don’t have to worry about this, but if you live outside of Brixton, or if you’d simply rather order some crisp, uncirculated collector’s notes as gifts to yourself or your loved ones, this is an important announcement! Those are the final days for delivery, so wherever you live, order sooner rather than later! Have a David Bowie fan in the family? Definitely give them a B£ tenner; our Shop is right here. This entry was posted in news and tagged briXmas, christmas, christmas ideas, christmas presents, christmas shopping on December 1, 2014 by brixtonpound.